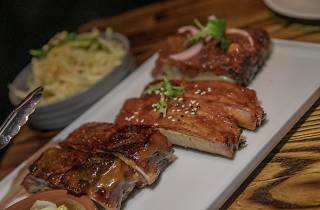 After a successful pop-up in 2016, Ayesha Curry, wife of Warriors superstar Steph Curry, opened her first brick-and-mortar restaurant serving grilled and smoked meats prepared with a global twist. International Smoke is always packed with Curry fans (of the lifestyle and basketball variety). 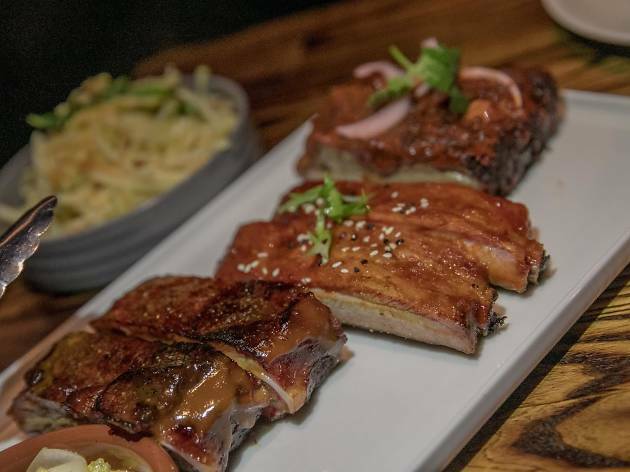 The restaurant stays true to its name with St. Louis cut smoked pork ribs, spicy New Mexican adovada and Korean gochujang ribs all on the menu. Don't miss the St.-Louis-meets-Memphis style American BBQ ribs in a caramelized sugar crust.